ICT transformation projects are inherently complex and risky because they overhaul an organisation’s entire technology base and impact the core business processes needed to flourish. Mei Fern Johnson talks about what to do and what not to do, focusing on case studies from New Zealand and Australia. She will break down a transformation project to its key phases and then discuss the do's and don'ts of each phase. The discussion will go beyond legal principles to project management, procurement and support of the technical IT team working on the project. 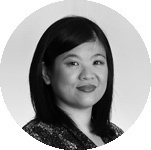 Mei Fern Johnson is a specialist ICT partner at Russell McVeagh, one of the largest law firms in New Zealand. She has advised on ICT and technology contracts since 2002, working with technology-dependent corporates, government and public sector clients. She is also experienced in advising on procurement processes designed to achieve best value for money procurement for her clients. She works alongside her clients' ICT, internal legal and procurement teams.